This module contains a 5050 RGB LED. Connect this module to the Arduino PWM outputs to generate a full range of colors. Caution! This module contains no resistors for current limiting! 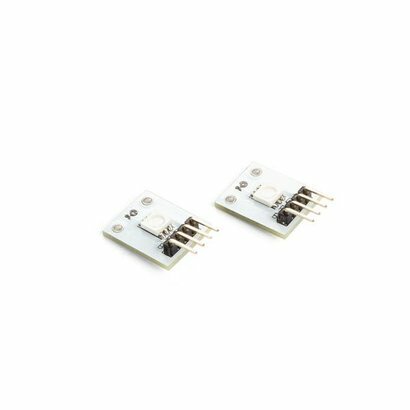 The LEDs can be damaged if they are directly connected to 5 V.